Bon Weekend... I will be off STILL celebrating my "29th" birthday!!! P.S. Be sure to visit Reading is Fashionable too and OUR NEW site sponsor Vistaprint !!! Oui oui oui... both of my sites are NOW accepting ADVERTISERS... email for rates! 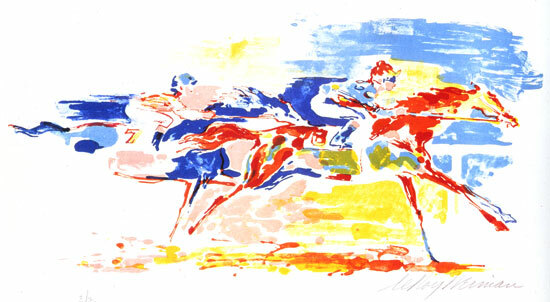 His energetic style and clear vivid colors really capture the mood and action of the races. I once had a horse in the blood lines of Northern Dancer! Love them. 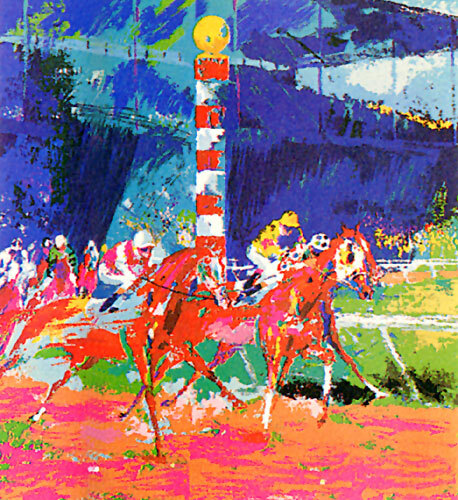 One of my three favorite books ever was 'Seabiscuit'...quelle book!! Hi Fifi, Happy birthday. 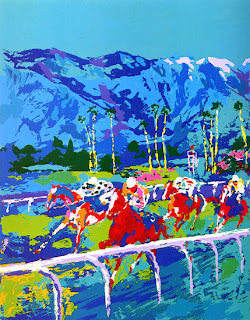 I love your day at the races painting. Happy Pink Saturday.